If you’re into gadgets that reflect your vibrant and free-spirited personality, then the ASUS VivoBook S15 is the right laptop for you. As ASUS charges headfirst to sell laptops that capture the attention of users with a bold and dynamic style, the VivoBook S15 doesn’t disappoint in bringing an aesthetically appealing laptop that will suit your fancy. Just like any of its predecessors, the VivoBook S15 aims to give you the best experience in terms of design, performance, and comfort for you to get the job done anywhere, anytime—with a little extra flair. With the VivoBook S15, ASUS showcases a set of striking color combinations and hues to match your personality. 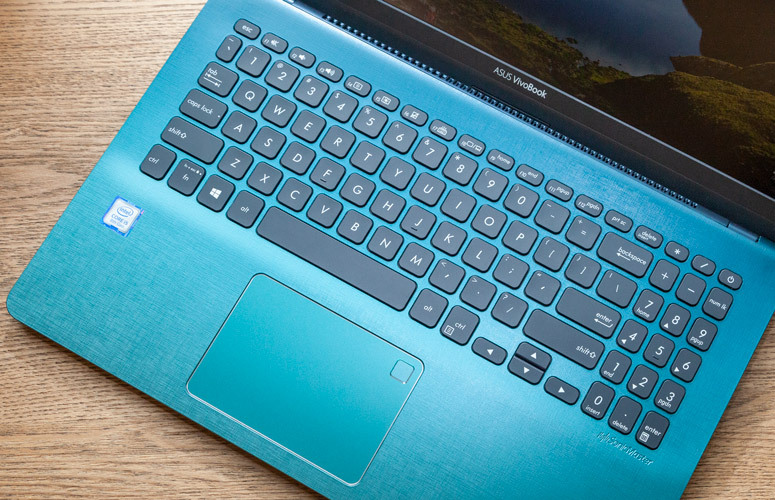 The laptop comes in five amazing color schemes: Gun Metal, Icicle Gold, Silver Blue, Star Grey, and Firmament Green. Each scheme presents a different trim, interior, keyboard color, and outer aluminum shell. One key difference S15 has from previous VivoBooks is the new woven-textured surface that surrounds the keyboard. With this in mind, the interior is expected to age better compared to the smooth finishes on the models released prior to this one. Also, smaller bezels are seen on the top and sides of the display, giving it a sleek, classy look. The laptop sports a screen hinge that provides proper airflow underneath. The hinge lifts the main body on the bottom part of the screen, creating an inclination of 3.5 degrees, which results in a more ergonomic typing experience—hence its name “ErgoLift”. The ErgoLift feature also helps keep the VivoBook stable when placed on a surface. The hinge, however, gives the VivoBook S15 S530 a marginal increase in size and weight. The refreshing look of the VivoBook can be attributed to its 15.6-inch Full HD, IPS-level LCD (1920 x 1080 pixels) non-touch matte display with Integrated Intel Ultra-HD Graphics 620. It is powered by an Intel Core i5-8250U processor that has a clock speed of 1.6GHz to 3.4GHz. VivoBook’s overall performance is driven by an 8GB double data rate fourth-generation synchronous RAM (DDR4 SDRAM or DDR4). Furthermore, it also has 256 Gigabytes’ worth of SATA SSD storage. The screen has an HD web camera, stereo speakers, a backlit chiclet keyboard with a 1.44-mm activation point, and a Microsoft Windows 10 operating system. In addition, the VivoBook can be loaded with light games thanks to its Nvidia MX150 graphics chip. With VivoBook’s underwhelming 60.7% sRGB, 42.6% Adobe RGB and 43.7% DCI P3 coverage, it is not recommendable for video editors and photographers, especially since its low-voltage CPU won’t be able to efficiently support video editing applications. Ironically, this supposedly light and travel-ready laptop has a disappointing battery life of only 42 Watt-hours. But the stereo speakers are good enough to produce quality sound for your daily Spotify sessions. In conclusion, this model is decent overall in terms of specs and performance especially for a laptop of its kind. If you are particularly after efficient typing as well as built-in cooling mechanisms, and you like gadgets that match your personal style, then this VivoBook S15 model is definitely for you.